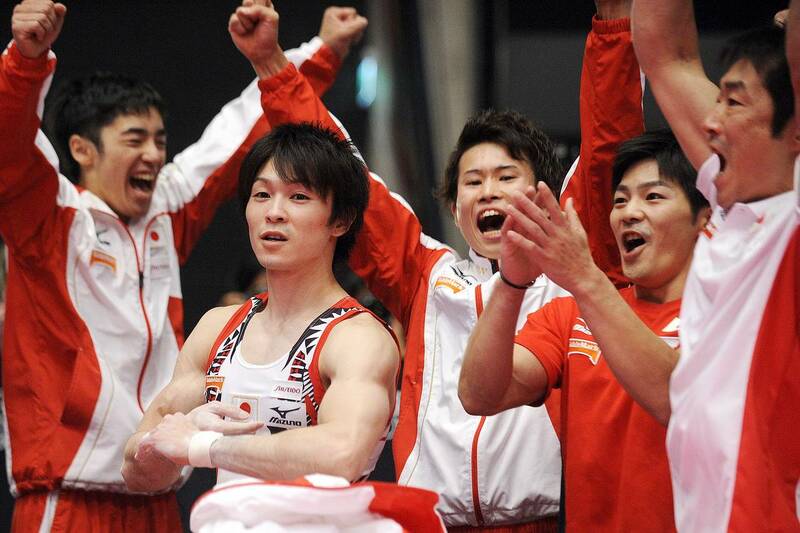 “Attain Perfection” was the mantra of the Japanese star Kohei Uchimura. However, his performance in Wednesday’s men’s team finals was far from being flawless. The Japanese team made a historic finish in the World Championships team finals after breaking the China’s near decade-long reign in the international competition. However, King Kohei still feels unsatisfied about the competition’s outcome. In a competition filled with mishaps, but also with heart-pumping drama, the Japanese survived minor mistakes, including Uchimura’s high bar error, where the Japanese star lost his grip and fell to the mat. Despite the series of unfortunate events, the team still earned the gold medal – their first world title in 37 years. Japanese gymnastic legend Uchimura’s score of 14.466 finally propelled Japan ahead of the silver medalist and host country Britain and surpassed them by just 0.473 points. While Japan secured the gold medal after posting a combined total score of 270.818, the British team, comprised of Louis Smith, Max Whitlock, Nile Wilson, Brinn Bevan, Daniel Purvis and Kristian Thomas earned their country’s first-ever team medal at a World Championship – surpassing their female counterparts who have just earned bronze a day earlier. China, who have been dominating the international competition for more than a decade already, has been out of the running after three horrible performances in the pommel horse event left them hanging around in the seventh place after the second rotation. Nonetheless, the country’s three spectacular displays on the parallel bars, including Deng Shudi’s, who obtained a jaw-dropping score of 16.066, allowed the Chinese team to climb back into third place, obtaining a bronze after posting a total score of 269.959. Russia, USA, Switzerland, South Korea and Brazil are the last five teams to complete the top eight. Defeating China in an international team competition had been Uchimura’s motivating factor as it was the only remaining title that’s missing in his impressive medal collection. China’s display of dominance has been present since 1994, the country had won 10 out of 11 available world men’s titles and three out of the five Olympic gold medals. “Today we lost not because of how others performed. We lost because of our own mistakes,” Chinese team member Zhang Chenglong told reporters. Japan has won the Olympic title in the 2004 Summer Olympics in Athens, but the gymnastic legend Uchimura wasn’t yet present at the said event. These Asian rivals had been engaged in a battle since 2007, with China always being ahead of Japan – but that has changed last Wednesday. A year after a heartbreaking loss to China after posting a score that’s one-tenth of a point behind China, the lead they had built through the first four rotations looked in jeopardy after Yusuke Tanapa fell off while performing his parallel bars and horizontal bars routine. However, the Japanese team knew that they still have one last card to play – as Uchimura is still bound to perform his final routine of the day. The guy who earned a remarkable score of 15.366 in the men’s qualification rounds and owns a record of five-consecutive world all-around titles, was expected to deliver a clean and flawless performance. 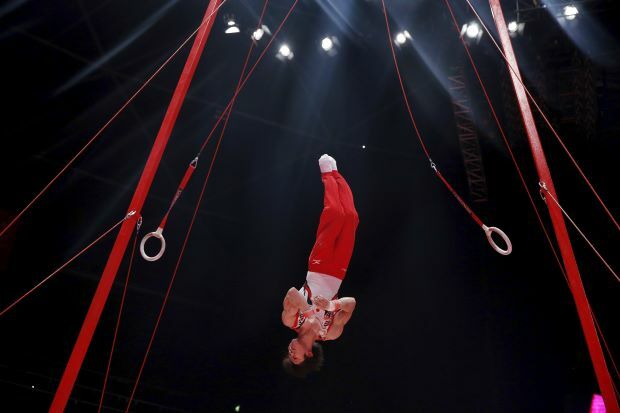 However, he failed to meet the audience’s expectations after failing to grip the high bar following a high-flying release maneuver that caused him to fell off the mat, which triggered a hushed silence in the Hydro Arena. Despite that, an unfortunate mistake in such a daring routine would not deny the gymnastics legend, and when his score showed up – it was finally mission accomplished. When he was asked about how it felt to finally win a team gold medal, the Japanese gymnast gulped and struggled to find the words to say. “I really wanted to have a perfect routine, so I feel really bad,” he said. “But I have never won a team competition, and even though it wasn’t perfect, we still won the gold medal. Keep up with the latest updates regarding the 2015 World Artistic Gymnastics Championships by liking our official Facebook Page. Enroll now at Bianka Panova Sport and Art Academy and experience the most fun and entertaining way of learning gymnastics for kids.